Raccoons are special kinds of mammals believed to be some of the smartest animals on the planet. Raccoons are believed to be smart because they have incredibly huge brains. 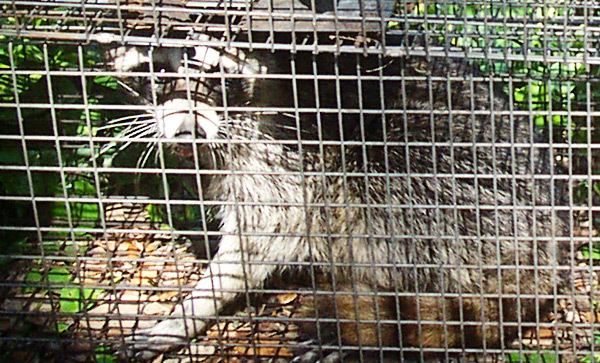 Raccoons can be intelligent and curious and for this reason, they can be very hard to trap. Raccoons are very complicated in nature, they can be smarter than your toddler, especially when it comes to thinking fast. Raccoons do possess some dexterous hands, limbs and thumbs and these allow them utilize many tools to their advantage, especially when solving personal problems (this is why it is hard to domesticate raccoons, they will always find a way to break loose). Raccoons are always loyal to their families and environment, they are often solitary animals that can be found close to garbage cans and can be very aggressive too, especially when they move in large groups. Raccoons are known to knock down bicycle riders and even take their foods. Raccoons are also intelligent in the way they raise their litters, they often find secluded places such as the Porch, and the garage where they can be difficult to locate. Raccoons can raise litters around your home for several months before you detect them. Though Raccoons may have poor vision, especially in the day, but their powerful brains allow them to detect food and the approach of humans or other animals. Raccoons have excellent problem solving skills, a raccoon may sit back and extend its hand to grab food from humans , especially when the animal has gotten use to the people. Raccoons don’t find it difficult to return to a place where they detect food or where they are raising their litters, this is why many home owners find it difficult to keep them away for too long. Raccoons generally do not bother when they are not disturbed, even when you though sticks at them , they often think it is food . The intelligence of raccoons can only be compared with the intelligence of the likes of Gorillas and Orangutans. Male raccoons often move around the females in groups to protect them against other animals, and they are able to create extensive damages that are far beyond their capacities. Raccoons are known to damage isolated power cables, as well as the roofs of homes. Raccoons can turn some garbage cans upside down, thereby creating nuisance within the environment. Raccoons do possess some intelligence that can only be scientifically explained. Go back to the How to get rid of raccoons home page.